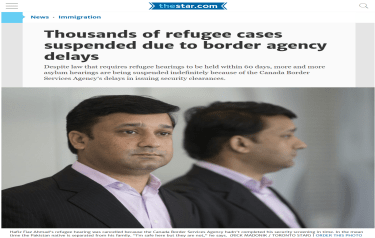 Mr. Rathees Parmananthan (the “Applicant”) seeks judicial review of a decision of the Immigration and Refugee Board, Refugee Protection Division (the “Board”). In that decision, dated September 6, 2012, the Board determined that the Applicant is neither a Convention Refugee nor a person in need of protection within the meaning of section 96 or subsection 97(1), respectively, of the Immigration and Refugee Protection Act, S.C. 2001, c. 27 (the “Act”). The Applicant is a 21-year-old Tamil male from Sri Lanka. He arrived in Canada on August 13, 2010, on board the MV “Sun Sea”. He claimed refugee protection on the day of his arrival in Canada, on the basis that due to his Tamil ethnicity and residency in an area controlled by the Liberation Tigers of Tamil Eelam [“LTTE”] at the end of the civil war, he would be suspected by the Sri Lankan government of involvement with the LTTE. He advanced a fear of detention and torture by the Sri Lankan government, if returned to Sri Lanka. In his testimony before the Board, the Applicant recounted his experience in Sri Lanka during the 1990’s and early 2000’s, including periods when his family was forced to relocate many times. The LTTE tried to enlist his father to work for it. An elder brother was killed as the result of being caught in a fire-fight. The Applicant and his family were detained in a refugee camp that was controlled by the Sri Lankan Army. He claimed that he and his brother were tortured by the Sri Lankan Army in an effort to determine if they had been involved with the LTTE. The Applicant was released from the camp after his parents paid a bribe. After a week in hiding in Colombo in April 2010, transportation to Thailand was arranged by his uncle and a member of the Eelam People’s Democratic Party [“EPDP”]. The Applicant departed Thailand on the “Sun Sea” on May 12, 2010, arriving in Victoria, British Columbia on August 21, 2010. The Board found the Applicant not to be credible, particularly his evidence about his travels to Colombo and the arrangements that were made for his departure for Thailand. Further, it found that the security forces in Sri Lanka had released the Applicant after several detentions upon being satisfied that he was not linked with the LTTE. The Board was not satisfied that the Sri Lankan Army was still interested in the Applicant nor that he had the profile of an LTTE supporter. It was not satisfied that the Applicant had shown a well-founded fear of persecution if returned to Sri Lanka. Further, the Board found that there had been a change of circumstances in Sri Lanka and that circumstances in the North had improved for Tamils. The Board considered the issue of generalized risk pursuant to section 97 of the Act in light of the Applicant’s fear of being targeted by the EPDP, if returned to Sri Lanka. The Board found that the EPDP, among other groups, was engaging in criminal activities during the post-civil war situation. However, it found that the risk to the Applicant was a generalized risk faced by returnees who were perceived to be wealthy. The Board’s decision involved an assessment of the evidence, against the legislative standards, that is questions of mixed fact and law. According to the decision in Dunsmuir v. New Brunswick,  1 S.C.R. 190 at paragraph 53, these questions are reviewable on the standard of reasonableness. Any issues of procedural fairness are reviewable on the standard of correctness; see the decision in Benitez v. Canada (Minister of Citizenship and Immigration),  1 F.C.R. 107 at paragraph 44. Although the Applicant advances several arguments, it is not necessary for me to review them all since I am satisfied that the Board committed a reviewable error that is determinative of this application. In my opinion, the Board committed a reviewable error by failing to assess whether the Applicant’s profile since leaving Sri Lanka supported a sur place claim. In other words, the Board failed to apply the right test for the assessment of a potential sur place claim by the Applicant; see the decision in Ejtehadian v. Canada (Minister of Citizenship and Immigration), 2007 FC 158 at paragraph 11. In the result, this application for judicial review is allowed, the Board’s decision is set aside and the matter remitted to a differently constituted Board for a re-determination. There is no question for certification arising. There is no question for certification.